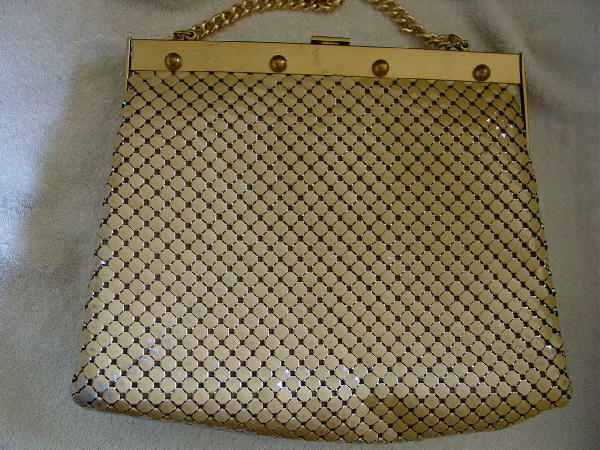 This vintage mesh handbag was made in the USA and is a Whiting & Davis Co. Bags. 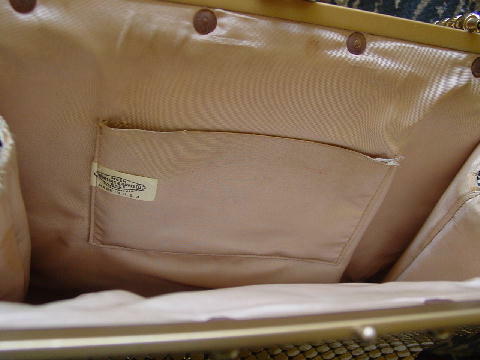 It has a champagne-cocoa (probably acetate) lining and an open pocket. 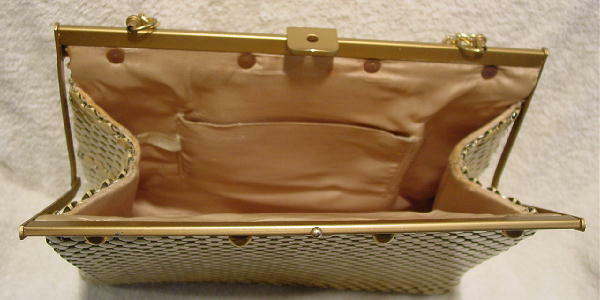 The rim and top closure are in a gold-tone with 4 decorative balls on each rim side. 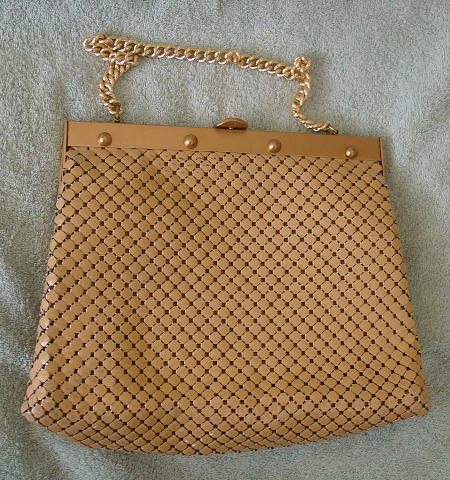 It has a 17" gold-tone chain link handle. Some of the little mesh panels have gold-honey mustard paint missing and the back metal rim has quite a few scratches. There are a couple light scratches on the front rim. The front picture shows the true color. It can be worn from daytime into evening.